These low carb chicken tostadas are a wonderfully light Mexican-inspired lunch dish. Have you had tostadas before? They’re a bit like an open faced quesadilla, but more salady. If you have all the ingredients like guacamole, salsa and cooked chicken, this light lunch takes only a few minutes to prepare. Place low carb tortillas on a baking tray lined with a silicone mat. One tortilla per person is usually enough. I’m currently using Mission Carb Balance Fajita size right now – 3g net carbs per tortilla. Place under a preheated broiler until crispy but not burnt. Turn over and crisp the other side. Meanwhile, prepare all the toppings like slicing up some lettuce and cooked chicken meat. I usually buy pre-shredded cheese so that makes things even quicker! Start loading everything onto the crispy tortillas. The order is totally up to you, but I usually start with lettuce, chicken, then salsa. Oh and the chicken can be warm or cold, whichever you prefer. Then add guacamole (try my Easy Creamy Guacamole recipe! ), shredded cheese (I use a Mexican blend), sour cream and sliced jalapeños. Place the tortillas on a baking sheet and toast on both sides under the broiler until crispy. Load up each tortilla with the remaining ingredients. Tacos and tostada in California are almost required eating. Unfortunately, thats not very easy to do when following a low carb diet. 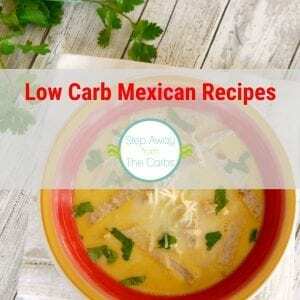 We usually use lettuce for our taco fixins, but a nice low carb tortilla tastes even better! yum! So thankful for low carb tostadas! 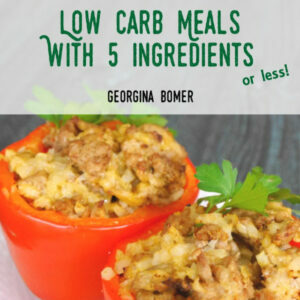 These look like the perfect healthy dinner! I love Mexican food! Great recipe! This looks like a perfect quick lunch to me. I’d definitely add some jalapenos to spice things up, they make everything taste better! I love Mexican food so much! 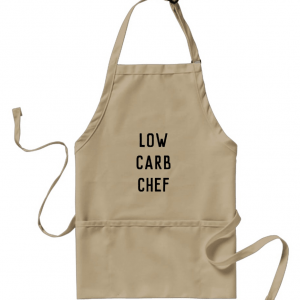 It is so great to have low carb options. These look so simple but flavorful! Great recipe!, maybe in the future you will have a corn flavor tortilla & tostada keto recipes made with non GMO corn flavoring, coconut flour and/or almond flour, chia seeds or that husk fiber & maybe more crispy for the tostada recipe.